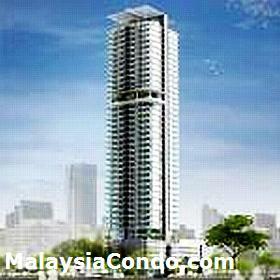 Sixceylon Condominium is located along Jalan Bukit Ceylon, a redevelopment project by Bolton Berhad. This freehold condominium situated on the prestigious Ceylon Hill, an established area minutes away from the Bukit Bintang Golden Triangle where shopping, dining and nightlife venues are located. Sixceylon Condominium consists of a block of 33-storey building with a total of 215 condominium units. The built-up area ranging from 696 to 1,555 sq.ft. Built-up Area : 696 - 1,555 sq.ft.